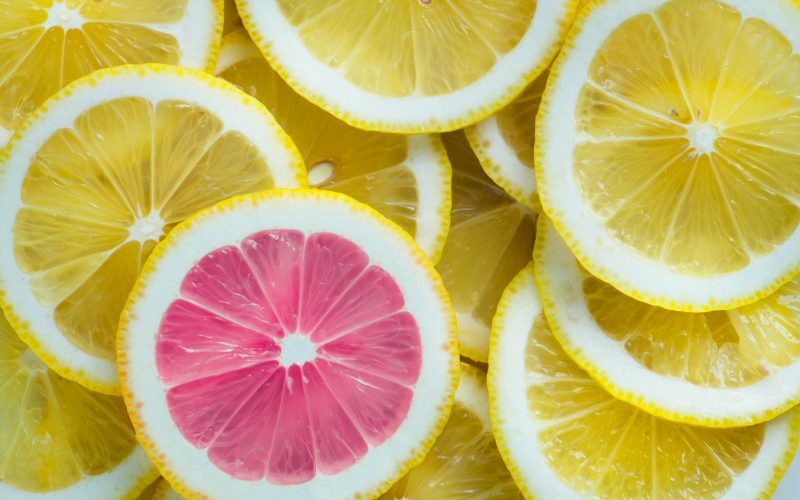 At first glance, you might think that marketing to a niche demographic will put your firm at a disadvantage since you are limiting the scope of potential clients. However, it actually does just the opposite! It creates more value for your marketing money and gives you more quality leads. As the digital world grows and we see the rise of more virtual financial planning tools, clients will no longer search for a planner who is limited to their geographic area; instead, they will search for the planner who is best able to meet their individual needs. Financial planning is very broad. Making a mark in such a broad field takes more effort, energy, and marketing dollars. But if you market yourself as a financial planner for divorcees and widowers, you can establish yourself as an expert in a field that is underserved. Since this group is narrower, you have the opportunity to become a well-known expert much faster and as a result, your visibility and profile will increase. My own experience with niche marketing has been an extremely positive one. 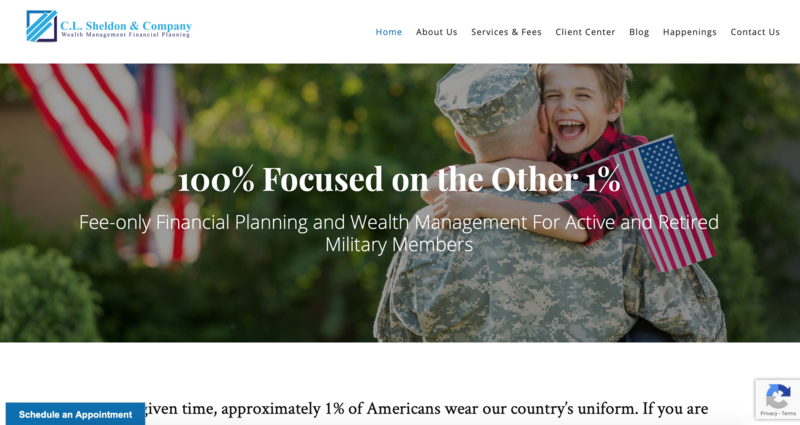 At Twenty Over Ten, we cater exclusively to compliance-regulated industries, building tailored, mobile-responsive websites for financial advisors and insurance professionals. Our platform and tools are built to meet the very specific needs of those users. Our unique expertise in marketing, compliance, and user experience has allowed us to quickly become one of the most popular platforms for advisors to create and maintain their online identities. Be prepared to communicate with your target audience as a knowledgeable member- not an outsider. Be aware of the buzzwords and topics important to your target demographic. This may mean rethinking the language you use on your website and other marketing materials, such as your company tagline or mission statement. Pay close attention not only to what you write but how you write as well. Whether you are rewriting content for the pages of your website, writing a blog post, or compiling an online newsletter, write your content as if you are having a conversation with your visitors. Your unique voice is necessary to capture you and/or your company’s expertise, passion, and value proposition. Clearly establish who you do (and don’t) serve. It’s a well-documented fact that a user will form an opinion about your website (and you) almost immediately. It takes only 1/10th of a second to form a first impression about a person, and websites are no different. It takes about 50 milliseconds (that’s 0.05 seconds) for users to form an opinion about your website. Be clear and direct about your expertise and your target demographic. Keep this above the fold (so a user doesn’t have to scroll to see it). Dave Grant of Finance For Teachers aims to work with teachers. His website (and organization name) make it immediately clear who his target demographic is. Additionally, he’s literally “written the book” on financial tips for teachers, which he offers on the homepage of his website for any educators who are interested (in exchange for their email). It’s equally important to establish on your website who your services are not for. The idea is to generate quality leads, not necessarily quantity. An underutilized strategy in the financial industry is to create a page dedicated to ‘what we do’ and ‘what we don’t do’ (Cambridge Financial Group does an excellent job of this). In the example below, Twenty Over Ten‘s client, C.L. Sheldon serves a very specific niche of active and retired military members. This not only helps them tailor their services to make them as helpful as possible, but it also helps them closely market to people who fit the bill. They make it clear from the moment you click on their site on their homepage, but expand on it even further in their blog, Financial TTP, and “About Us” Section. 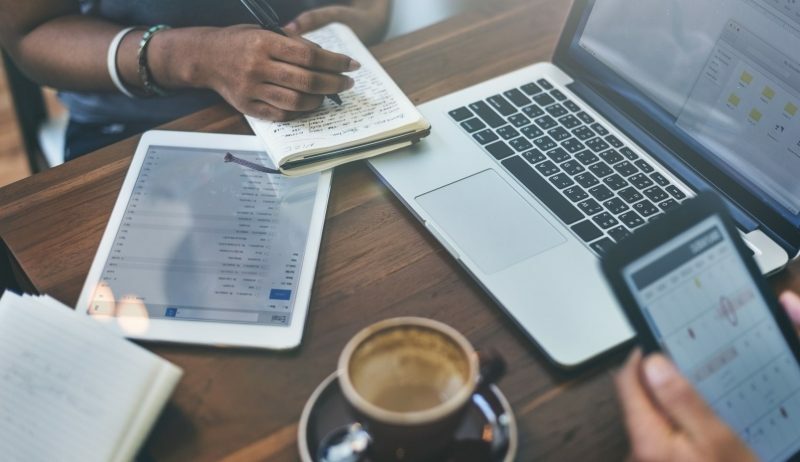 Blogs offer potential and current clients the opportunity to not only connect with you more frequently, but also get to know your business and services more deeply. As an added bonus you can raise your visibility through better SEO and increase the traffic to your site. 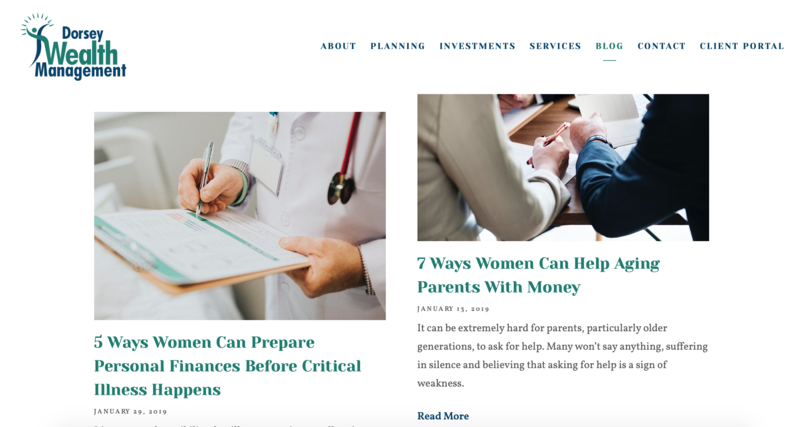 In the example below, Twenty Over Ten’s client, Dorsey Wealth Management writes blogs tailored specifically to women. By choosing women as its niche, the financial planning firm can deliver very distinct advice to their audience, developing better relationships and trust. Carry out keyword research to find what keywords potential visitors are using to find your site. Think that you know your business better than anyone else? Wrong. Your customers do. Connecting with your target demographic has never been easier and more cost effective. A strong social media presence allows us to connect, engage, and converse with potential clients, existing clients, and those who weren’t even aware they needed your expertise. Think about what you plan to share online. Think about what you want to post online – pictures, quotes, blog posts, news articles, etc. This is the part where you are expressing your work, your passion, and ultimately your expertise. Create an editorial calendar to stay on track with your posts. If you come across an article you feel passionate about, save it, so it can be shared for later. Create a bookmark and save all links and relevant content. 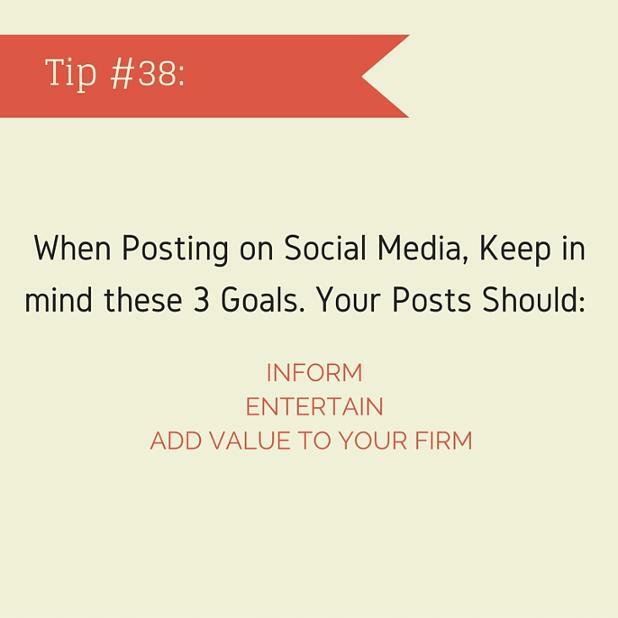 When you post an article or link to social media, include your own short personal commentary. I strongly believe that within your business, every online post should truly be meaningful to you. Posts should portray your company values and unique expertise, as well as what you believe your company ultimately brings to your community, market, and even society in general. 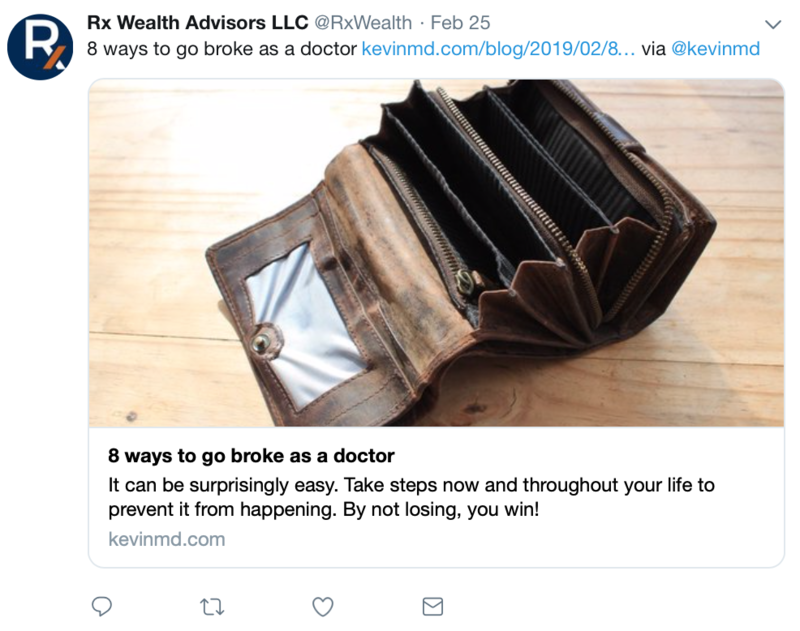 RX Wealth Advisors, a client of Twenty Over Ten, does a great job connecting with its niche of doctors on social media. Since their niche has specific pain points, it makes it easy to find meaningful, valuable content that connects. Still a little intimidated by social media? You’re not alone. Here are some insights we’re happy to share. The goal of your website should not only be to establish credibility within your niche market, but also to convert these new quality leads. 1. Lead with a verb (ie. Contact us today or Schedule a meeting). Using direct, active language is essential to engage your audience and give them a clear, direct instruction on what to do next. 2. Keep it short and sweet. As we mentioned earlier, you have a limited amount of time to engage visitors. Make sure you are giving that clear, direct instruction in the most efficient way. 3. Make sure it stands out. Your website will host a lot of valuable information. Make sure you create a clear hierarchy so your call-to-action stands out! We hope these tips can help you in establishing a strong business presence and developing your niche market. Our latest blog post discusses developing your niche market even more by creating marketing personas. Read on to learn more: 3 Steps to Creating Marketing Personas for Financial Advisors. 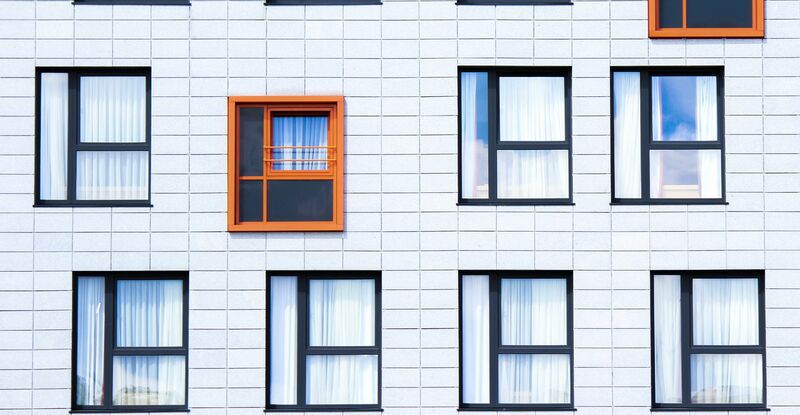 Ready To Catch Your Niche’s Attention? Whether you are looking to build a new website or just a redesign, we’ve got just what you need! Work with Twenty Over Ten’s design team to get the perfect website you’ve always wanted.